While kids in our community are in school learning and playing, the patients of Children's National Health System in Washington, D.C., are in the hospital healing from illness and injury. These brave kids have a simple wish: to be home and healthy. 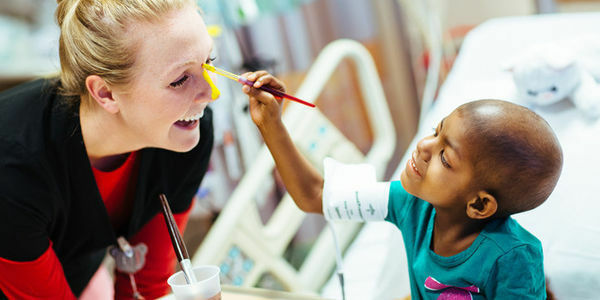 You can make a child's time in the hospital a little more joyful. Add your name as a well-wisher and we'll deliver a special message of cheer to a child in our care! Located in the nation's capital, Children's National serves hundreds of thousands of kids every year from the District of Columbia, Maryland, Virginia, and around the country. And every child at Children's National receives world-class care, regardless of their family's insurance or ability to pay. Our commitment to exceptional pediatric care also means pursuing new therapies and cures for some of life's most devastating diseases and helping sick children feel more like kids, and less like patients. Add your name to this card to send a special message of cheer and help give kids in the hospital their childhood back.